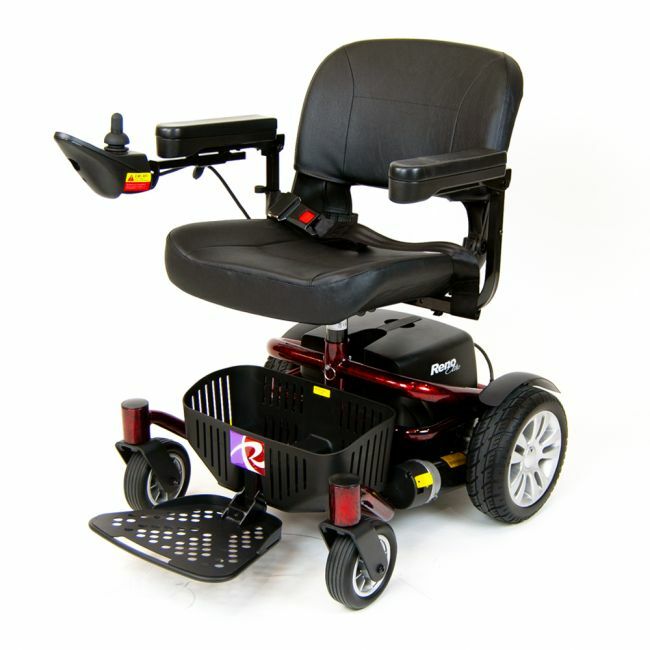 Regain independence with a portable electric wheelchair that is packed with features. The compact and portable Reno II powerchair is designed for easy transportation and can be dismantled in seconds without the use of tools. The handy flip-up armrests make this powered wheelchair easy to board, and with a turning circle of just 70cm, you will be able to navigate busy pavements with ease. It's perfect for days out and shopping trips too, with an impressive range of 12.5 miles per charge. You will also find Intelligent electromagnetic brakes, new patented docking system, detachable battery pack, on & off board charging, flip-up height adjustable footplate, and frame locking mechanism. Available in Flame Red & Flame Blue colours.